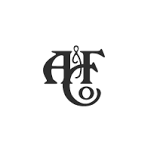 The E-Commerce team at Abercrombie & Fitch is the driving force behind all our innovative digital and omnichannel operations. This team is focused on developing, designing, testing, and implementing new and improved ways for our customers to experience the brands both in stores and online. Come join some of the best and brightest in one of the fastest growing areas at Abercrombie & Fitch! This role, which is part of the e-commerce organization, will have a primary focus supporting implementation & daily management of our DAM system (digital asset management system). This role will have an emphasis on asset attribute management as it relates to digital asset onboarding. This individual will also work closely with other cross-functional marketing & e-commerce teams such as Marketing Operations, Photo Studio, Digital Operations & IT to continue ongoing enhancements as it relates to DAM. The successful candidate should be highly organized, with a passion for process management. Smart, nice, optimistic attitude is a must!